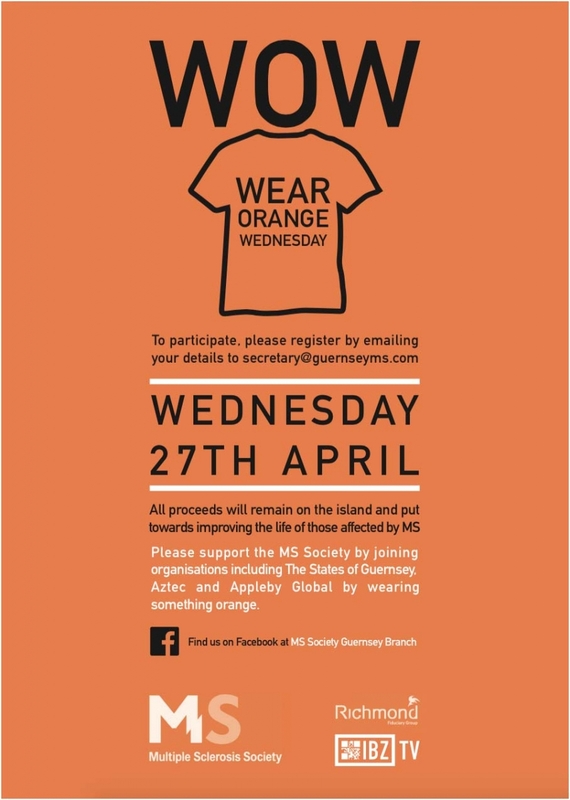 Thanks to the generous islanders of Guernsey, Wear Orange Wednesday (WOW) was a great success in its first 2 years. The money raised for the charity has gone a long way in aiding local people affected by Multiple Sclerosis. To all of you who participated a big warm thank you! Of course, don’t think you are shying away this year, it’s full steam ahead for Wear Orange Wednesday 2018 and we need your help! That’s right folks, Wednesday 25th April 2018 will see Wear Orange Wednesday round three. Pencil it in, get something orange, spread the word and twist the arms of your colleagues, bosses and staff.